Elon Musk is one of the most famous billionaires in the world right now, some even comically see him as some type of comic book hero or villain. But he may have taken more inspiration from comic books themes than you might think. Co-founder and previous co-owner of PayPal and Zip2, current billionaire and Twitter personality Elon Musk, at 47, is one of the most visionary entrepreneurs alive. Musk’s reading habits previously made headlines when he name-dropped and recommended an out-of-print history book, Twelve Against the Gods, which then sold out on Amazon within hours. Beside fantasy and Sci-fi stories which he used to cope (J.R.R. Tolkien and Isaac Asimov), comic book themes, and especially superheroes, also had a big effect on Elon as a kid and the adult he would later become. Here we go through exactly how these graphic novels shaped one of the world’s most famous billionaires. Bruce Wayne (Batman) and Tony Stark (Iron Man) are both men with a genius-level intellect whose superpowers stem from a combination of wealth and love for science and technology. We could learn from these two popular superheroes, as Elon the Kid would have. In essence, these comic books show that being smart can be a superpower that can be leveraged to the greater good. We can see some elements from the Caped Crusader and the Avengers member backstories in Musk, such as loving science, having a vision and a plan to serve humanity. As far as Hollywood is concerned, this is perhaps the golden age of the multiverse, or shared universes, whatever you want to call it. But before Marvel and DC got into business with mediums like Netflix Originals, the concept has been already in use in comics. Interconnected plotlines that have a greater impact on a much bigger arc may have inspired Musk on how to see the big picture, define priorities, and have a plan as to where he’s heading from the start. And when we look at it, we see Musk as a macro thinker who plays with mini-plots to set the stage for some kind of a big denouement. Take Tesla and SpaceX: while each has its own agenda, it’s clear they’re synergistically operating in Musk’s universe. Being one of the most formulaic genres, comic book themes and narratives often rely on saving the world from an apocalyptic threat. But before getting to that in the third act, our heroes have to discover their powers, harness them and learn how to use them for the good of humanity. In a similar way, Musk seems to be in the process of getting the tools (clean energy, space exploration) to save the world, not from supervillains, but from its own demons. After all, Musk’s has a “Mars Plan” and his ultimate goal is making humanity an interplanetary species. Apart from being the most quotable line in comic book history, it’s not exactly unique among comic book themes. 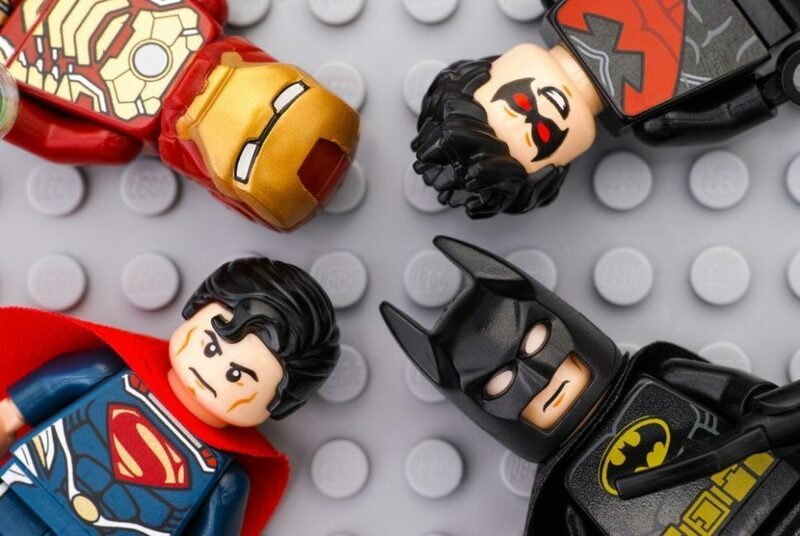 Acquiring and using a superpower, whether by technological or supernatural means, is often balanced by ethical questions that affect the hero’s journey. In 2015, along with Stephen Hawking, Bill Gates, Noam Chomsky and hundreds of other AI and Robotic researchers, Musk endorsed an open-letter that warned against AI misuse. Now, with his forward thinking and innovative projects, Musk is building the power slowly and steadily, but he seems to be already aware of the challenges that come with it.